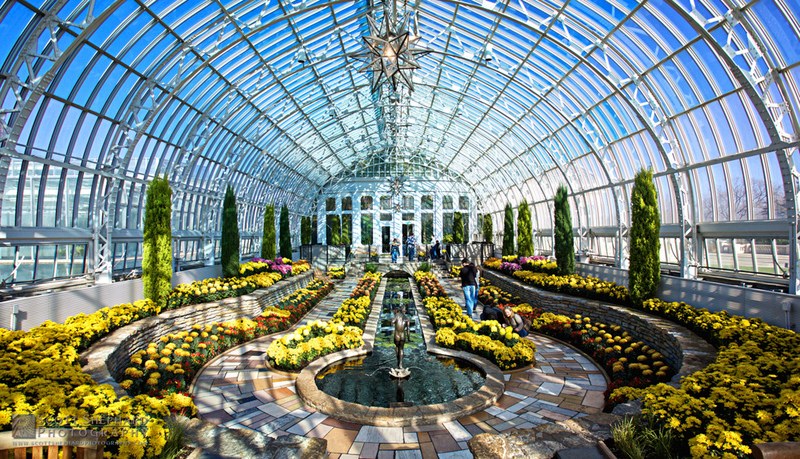 It's hard not to like this room at the Como Park Conservatory. Even on a cloudy day, it is bright. And it is always warm. And then add the sound of the splashing water from fountain seen in the foreground, and it is my kind of space. I generally feel like I should have a book to read rather than a camera to occupy my time. As for the black and white comparison below, I would say that this is clearly a time when color is the secret to the success of this photo. There is a lot of texture in this photo but I think the color helps define that. I think the black and white version is way too busy. But you'll have to judge for yourself. . . .